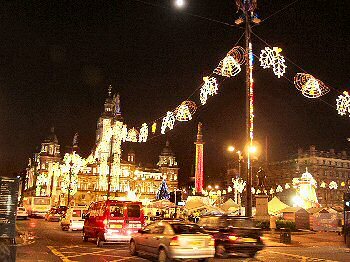 After the long drive up from Swindon I arrived in Glasgow during the afternoon. I checked in at the Victorian House Hotel in Renfrew Street before leaving for a walk through Glasgow city centre. 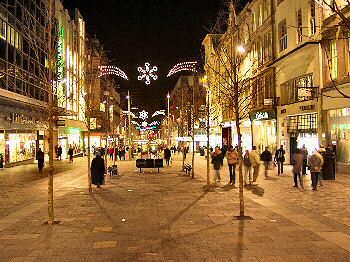 Sauchiehall Street was still busy with shoppers, although not as busy as I had expected. 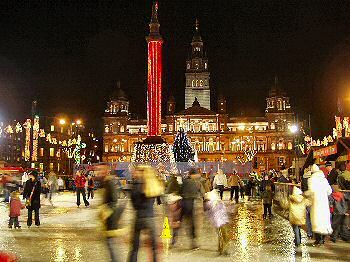 I continued to George Square for a visit to Glasgow on Ice, although I didn't venture on to the ice rink myself. It's been quite a while since I've last been ice skating and as I had a lot of plans for the next few days I didn't want to risk anything.